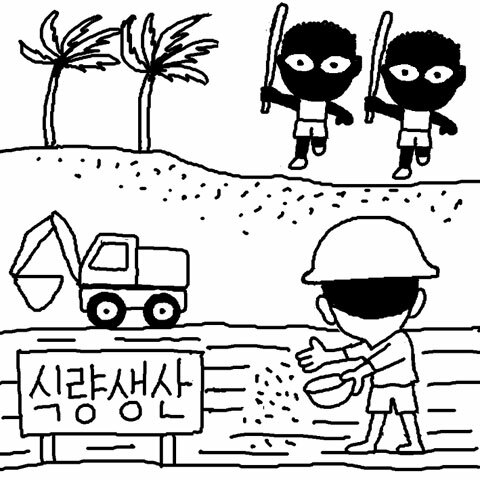 Earlier this week, I noted that the Daewoo land lease deal in Madagascar – under which the South Korean conglomerate secured the lease to one half of Madagascar’s arable land for, er, no money – had emerged as one of the main reasons for Madagascar’s recent coup d’etat, and that one of the first acts of the new President had been to cancel the deal. Good for Madagascar, you might think: with luck, this will lead to food importing countries becoming a bit more intelligent about getting the politics and the social dimensions right when they negotiate such sensitive food security deals. Er… nope, words just fail me. My friends, Korea is not doing what it must … In truth, I’m somewhat ashamed as secretary-general that Korea is not doing what it should … I hope that Korea reflects on its current standing in the world and [resolves] to contribute more to the UN’s official development assistance [ODA] and its peacekeeping activities. This entry was posted in East Asia and Pacific, Economics and development and tagged Food, landgrab by Alex Evans. Bookmark the permalink.